I am Molly Goldfarb and I am/an a Visual Artist. 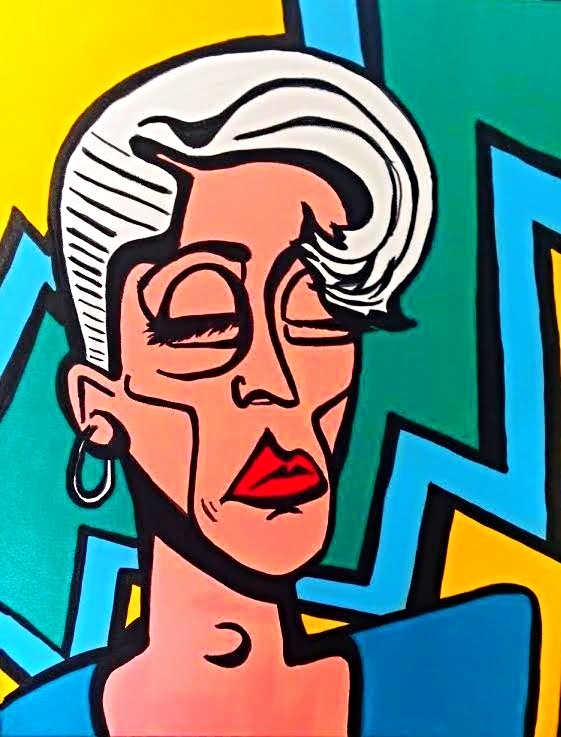 How would you define modern Pop Art? I don’t think there is a singular right or wrong answer to that question- definitions are created in art only to be destroyed. Just as the things that we deem “popular” in culture are constantly in flux (along with the technologies/ tools that we use to engage these things) so too is the art form that reflects it. 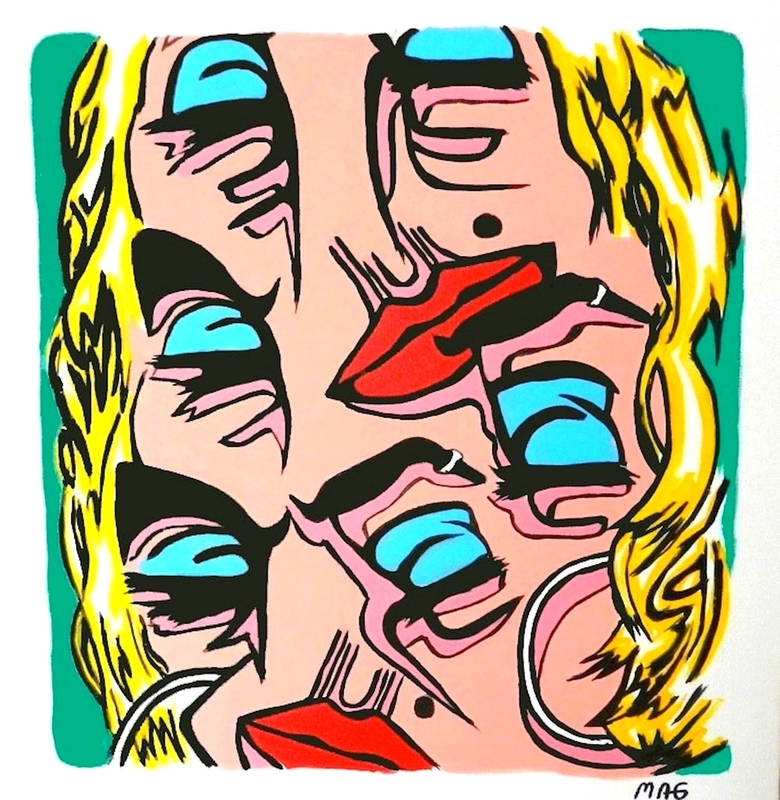 There is a massiveness to Pop Art in the Post-Modernist era, with artists engaging both its traditional visual cues and its theoretical staples in largely varying ways. I think this reflects the fragmented, highly personalized way in which we engage with media and culture in our post-internet society; the notion of “popular” and the consumption of content are becoming increasingly democratized and individualized, as is the contemporary artists’ engagement with and reflection of it. What is a current challenge for you as an artist? As an independent artist, sometimes it’s easy to get too caught up in your own world. There is an absence of any external feedback or dialogue surrounding your work, and, if you fail to take a step back from your work every so often, this can lead to creative stagnation. In comparison to other markets, what unique opportunities does New York offer [to you]? Both the variety and the abundance of opportunities are truly unique. There’s so much entrepreneurial, collaborative energy among artists in the city- I’ve had the fortune of experiencing it firsthand over the past year. If you’re passionate about sharing your art with a wide range of people, and you’re willing to put the work in, then your options are endless. I’ve exhibited my work in galleries, but I’ve also exhibited it in warehouses and in bars. I’ve exhibited in shows solely featuring visual artists, but I’ve also exhibited alongside fashion designers, musicians and poets. If you’re willing to branch out and try new things then you can really meet some amazing people while advancing the cause of your artistic career. Tell us about your first exhibition. Can you describe what you were feeling? My first show was at the (now-closed) Brooklyn Night Bazaar last September. I exhibited over thirty small marker pieces and five canvas paintings alongside over twenty other artists. It was definitely a non-traditional setting, but that felt fitting given that I was diving into this brand new world of exhibiting my work. I was pretty nervous- despite having drawn and painted since my early childhood, I’d always been reluctant to share my art. There was a large part of me that wanted to have all of the answers about my work and the direction that it was headed in before putting it out there, which was naïve- artistic growth is driven by creative agility and an openness to exploration, not by locking yourself into a singular script or shtick. All in all it was a great first exhibition experience- tons of friends and family came out to support me, I ended up selling my first piece of artwork, and got some great feedback from people at the show. The nerves subsided with each passing minute, with each passing person I discussed my art with, and continue to with each exhibition that I take part in. How long does it take you to complete a painting/ illustration? How do you overcome “writers block”? There are mornings when I wake up, sit at my desk and hit the ground running. Those days are awesome and I’ll usually have a newly completed piece by that night or the next. I get very, very focused on my work, so I don’t really stop to do anything else until I finish it. On days when I find myself facing creative blocks I try to avoid fighting them. I’ll typically look around my apartment for interesting objects, photographs or patterns to play off of; I’m a big traveller, so I have lots of random items lying around. As my body of work continues to grow, I’ve also taken slow creative days as opportunities to revisit old images or scraps that are laying in my studio, and to imagine different ways I can reinvent them or incorporate them into my more recent works. Viewing “writers block” as an opportunity to stray without consequence can lead you to some interesting places. What is your ideal goal as an artist (where would you like to work- gallery, self employed or museum.., what project would you like to be involved in, etc)? That’s a tough one and still something that I’m trying to figure out as I continue to learn about all of the amazing opportunities that are out there. Given my personal broad range of interests when it comes to creating visual images, there is a definite appeal to the idea of being self-employed and having the flexibility that comes along with entrepreneurship. I’ve done (and continue to do) freelance graphic design work for the past several years in addition to creating and exhibiting my artwork, doing commissioned work and experimenting with patternmaking. As long as I find myself in a situation where I have the space to create and share my artwork, and I’m surrounded by a community of individuals who are able to elevate my creativity and are open to collaboration, I know I’ll be in a good place (regardless of where that place is). Today an eco-friendly and green approach is essential to any business for future growth. What actions do you take towards sustainability? Being that my primary medium is markers on paper, I don’t tend to directly engage reusable materials as frequently as, say, a sculptor might. However, sustainability is and has always been among my core values as a global citizen. Once you’ve accepted that responsibility into your life it becomes one with your everyday mindset and behaviors. There are obvious ways in which I practice sustainability in the studio such as the use of efficient lighting, reusable paint and brush containers, recycling or reusing paper scraps etc. I also believe that the underlying values of sustainability are a crucial component of artistic creativity because of the way they change your view of the world around you. They train you to see the potential and inspiration in many different things, in many different conditions. To seek purpose and potential in objects that are cast aside or thrown away by others can be eye opening and lead to the most unique and special innovations or discoveries. If you could, how would you incorporate technology into your art? I experimented very briefly with making videos last year. I was interested in adding some movement to my work, so I illustrated an eye rolling and filmed it on my iPhone- kind of like a flipbook. The illustration of short scenes is definitely something I would like to revisit more seriously, perhaps incorporating a projector.